Ayesha Curry Launches Colorful Shoe Collection With Freshly Picked: See the Photos! 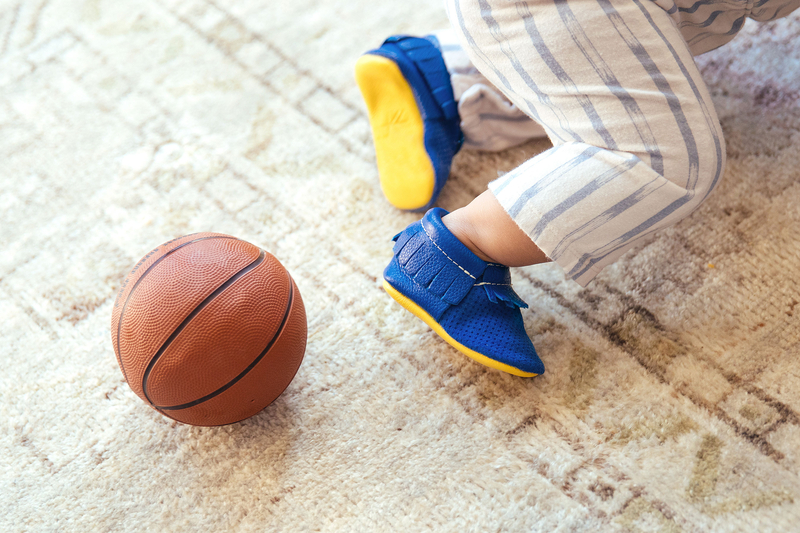 Little shoes with serious game! 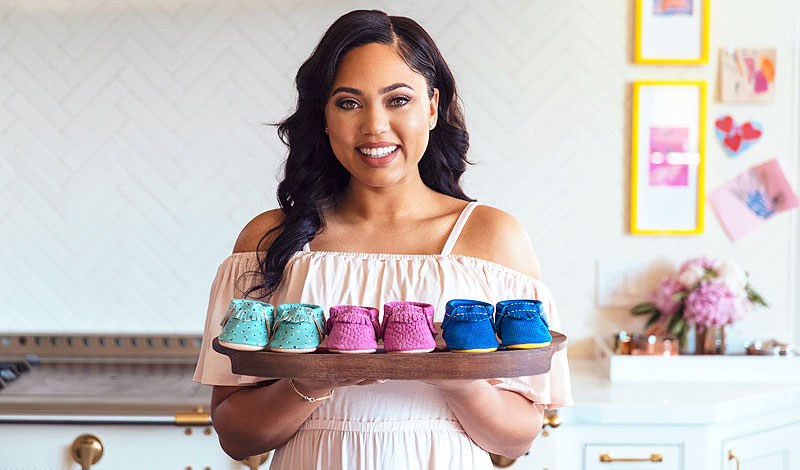 Ayesha Curry has teamed up with Freshly Picked on a collection of colorful moccasins for the children&apos;s label. 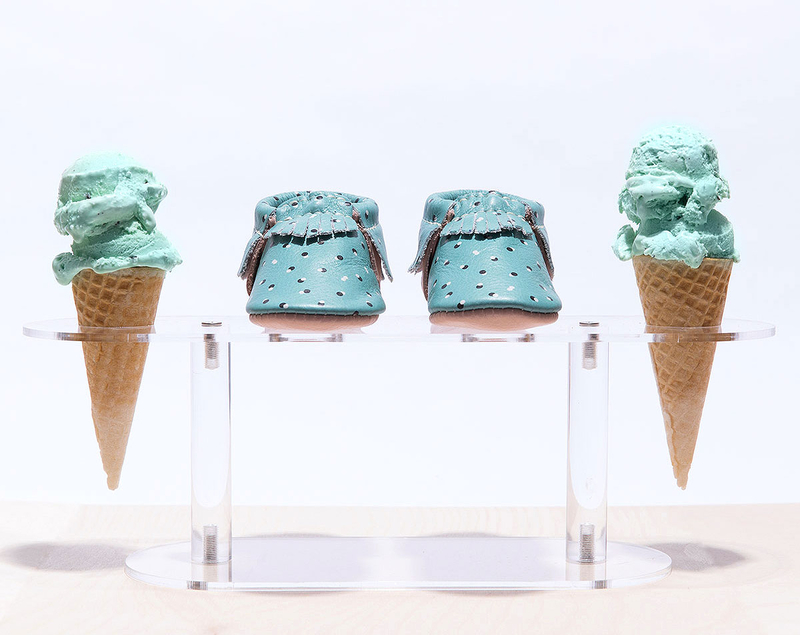 The mom to Riley, 3, and Ryan, 11 months — both of whom she shares with Golden State Warriors point guard Stephen Curry — designed three pairs inspired by a mix of "all things sweet." There&apos;s a magenta shade named Pink Lemonade, a dotted teal called Mint Chip and the Fan Favorite in the Warriors&apos; colors, royal blue and gold. PHOTOS: Celebrities and Their Look-Alike Kids! "I am so thrilled to be collaborating with Freshly Picked on this collection,” Ayesha, 27, said in a statement. 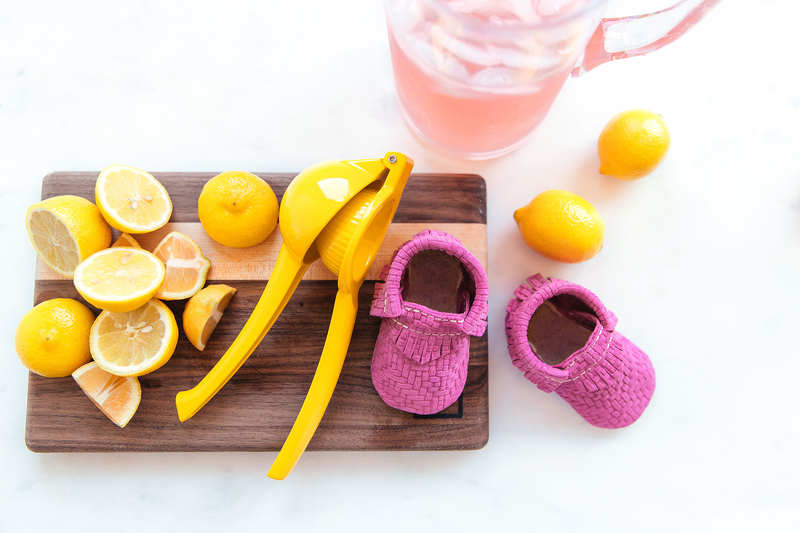 "It&apos;s adorable and delicious, yet still fashion forward — yummy little moccasins to cover those yummy little toes." Freshly Picked’s founder and CEO Susan Petersen added, "Working with Ayesha has been a dream, and this collection has been an aspiration of mine since we met. We are so excited to not only launch this collection, but to also look forward to other projects we’re working on together." This isn&apos;t the Curry family&apos;s first collaboration with Freshly Picked. In November 2015, little Riley, who&apos;s well-known for being a scene stealer at her father&apos;s games, made her modeling debut in the label&apos;s fall campaign. The toddler rocked golden hard-top moccasins while cuddling the family dog. PHOTOS: Celeb Kids — They&apos;re Just Like Us! The limited-edition collection will be available starting Wednesday, June 8. Each pair will cost $60 and can be purchased at freshlypicked.com.